We had our media launch on the 27th of April at Leadway Protea Hotel in Ikeja, Lagos. We have decided to provide a sort of debrief of the event and for the benefit of those who were not able to attend. The media launch we told you about has come and gone. Yes, it took place on the 27th of April. We are excited about the outcome of the event and many positive feedback from attendees. The media launch went as we envisaged and we were pleased with the turnout. We had the PrognoStore Team and some PrognoStore customers (special mention goes to Banke of BMPro, what an awesome lady!). Also present were some journalists and of course, friends and family who attended to provide us the necessary support. We have collected some of the photos of the event below for your viewing pleasure. Ade, PrognoStore CEO delivering his speech. Mum must have been very proud. His speech centred on how he used to help his mum run her store (that's years ago, I must say). He saw the inefficiencies and the difficulties and wanted to find a way to make running a store less strenous. Fast forward to 27th of April 2016, his mum was present at the launch of PrognoStore. A tool made for small retailers just like her. [From L-R] Humphrey, answering some questions. 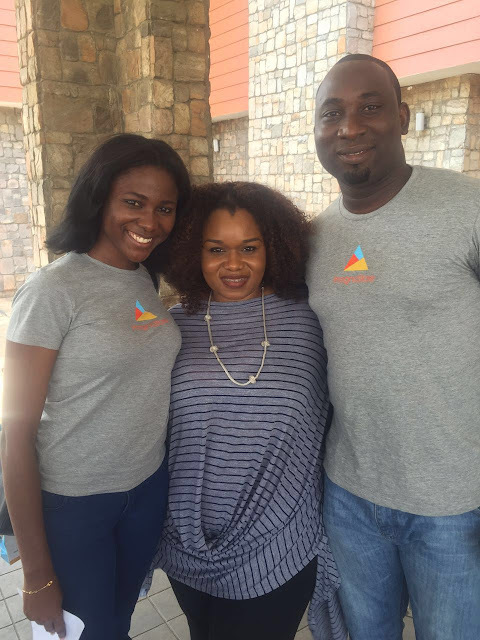 Also in the photo are Ade the CEO, Ayotunde of Business Development, Adaeze of Customer Support and Soji of Business Development. The goody bags for attendees. The launch won't be complete without them!